This January, California’s cap and trade system is set to go into full effect, marking an enormous step towards creating California’s clean economy. While California is used to being the first in many things, the fact that our cap and trade program is following in the footsteps of the European Union (EU) has proved a huge advantage to our state. The EU’s experiences have provided many invaluable learning opportunities, and today EDF released a new report that explores those lessons – The EU Emissions Trading System: Results and Lessons Learned. The most important lesson is that cap and trade works. 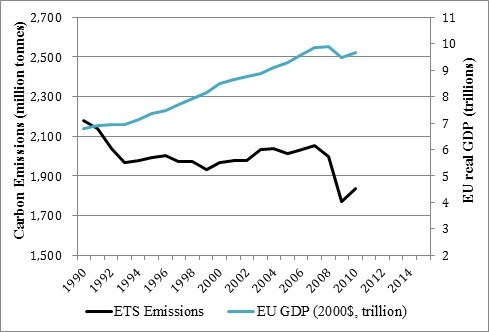 Research shows that the EU has successfully reduced its carbon emissions even during periods of GDP growth in Europe. It’s clear, therefore, that fundamentals of the EU’s system are firmly in place. Some of the initial challenges presented by the EU’s cap and trade program also present opportunities for California to learn from the EU, and our report goes into those lessons in detail. The good news is that California’s regulators and policy makers have designed California’s program with these lessons in mind and will continue to build on these lessons as California’s program goes live. The EU experience will help to ensure that the implementation of cap and trade in California is as smooth as possible. The EU initially based its carbon allowance distribution on industry emissions estimates, which led to an over allocation of allowances in the early stages of the program. The EU has since rectified this problem by moving to an allowance allocation system based on historical emissions data and California has been sure to base the distribution of its carbon allowances on historical emissions data from the get go. 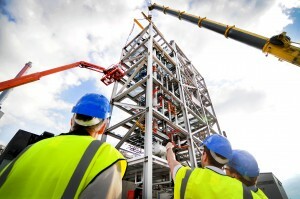 Because the initial free allocation of over 95% of carbon allowances in Europe resulted in electricity companies receiving windfall profits, both California and Europe are moving towards a hybrid allowance auction-allocation distribution system where free allowances will be given based on trade exposure and energy efficiency. And in California, for-profit electricity companies will return 85% of auction proceeds from those free allowances to their ratepayers, with the remaining amount going to projects that reduce greenhouse gases. The EU experienced some carbon price volatility at the end of the first phase of its program. To relieve some of that volatility, the EU now allows “banking” of allowances for future use, and so will California. 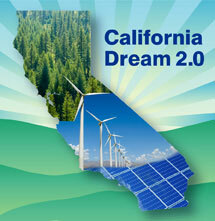 California has also created an allowance reserve that can be tapped if prices get too high. In addition to adopting protocols to guide approval of carbon-offset activities, these are just a few of the measures California has taken in response to the implementation challenges revealed in the EU’s system. And when January comes, we at EDF will be watching closely to ensure that the theoretical fixes already made have the intended practical effect. The bottom line is, California is well set up to embark on an effective, efficient cap-and-trade program of the caliber we need to create a brighter future for our state. All Systems Go for California’s Carbon Auction! This entry was posted in Cap and trade, Climate, Global Warming Solutions Act: AB 32. Bookmark the permalink. Both comments and trackbacks are currently closed.